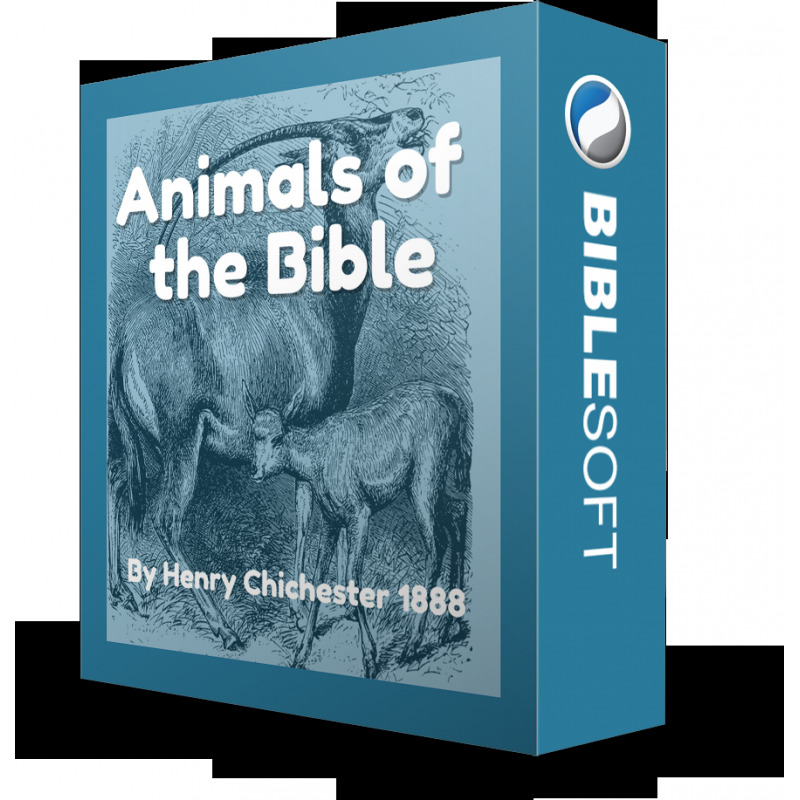 This title combines two classic Bible study reference works—Animals Mentioned in the Bible, by Henry Chichester Hart (1888) and The Plants of the Bible, by John Hutton Balfour (1885). 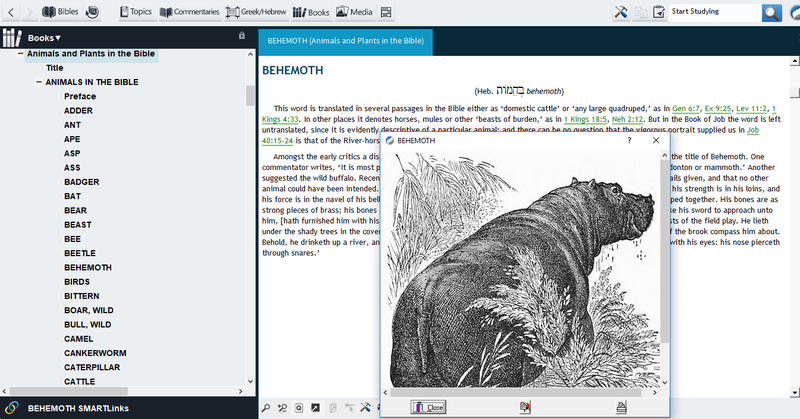 Both works are illustrated with dozens of black and white drawings, and offer topical discussion for each animal or plant as referenced in the Scriptures, often dealing with the problems of precise identification—that is, which species is meant by the Hebrew or Greek word. 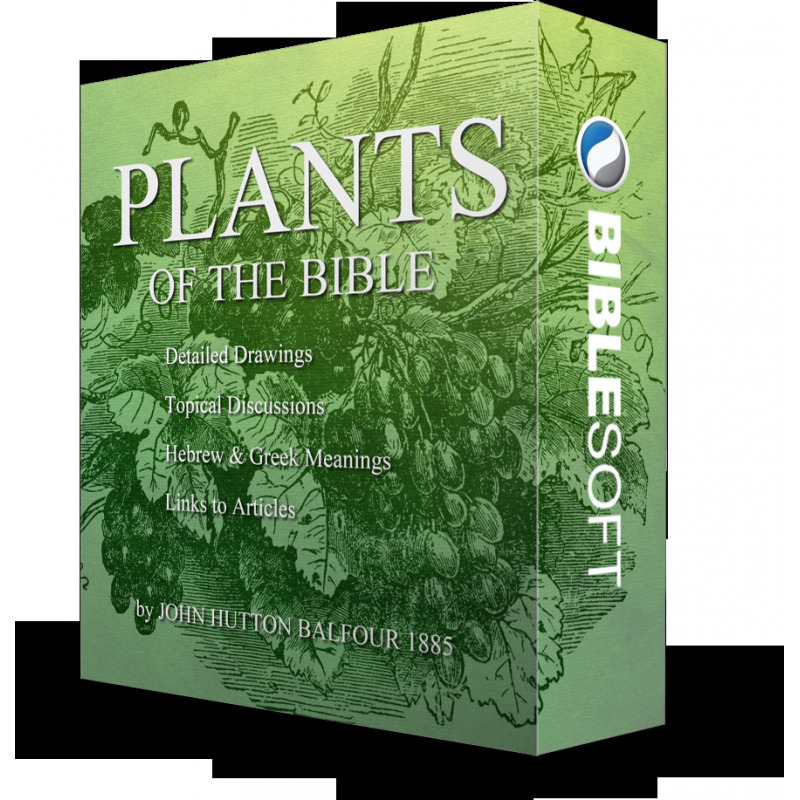 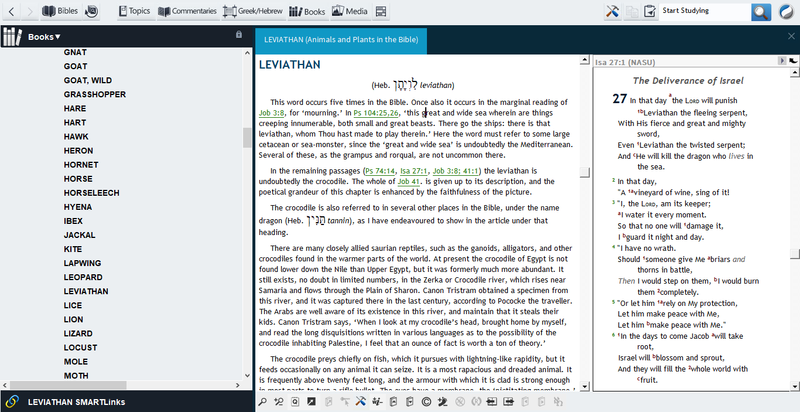 This electronic edition has keyed the articles so that they can function as a Topical reference work (Encyclopedia) in the OneTouch and PC/Mac Study Bible programs. 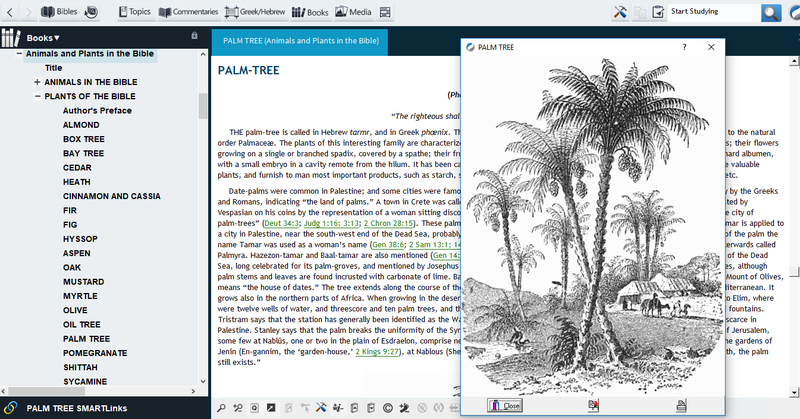 Go to the "Topics" menu, and enter the animal or plant you wish to study (or select it from the drop-down list). 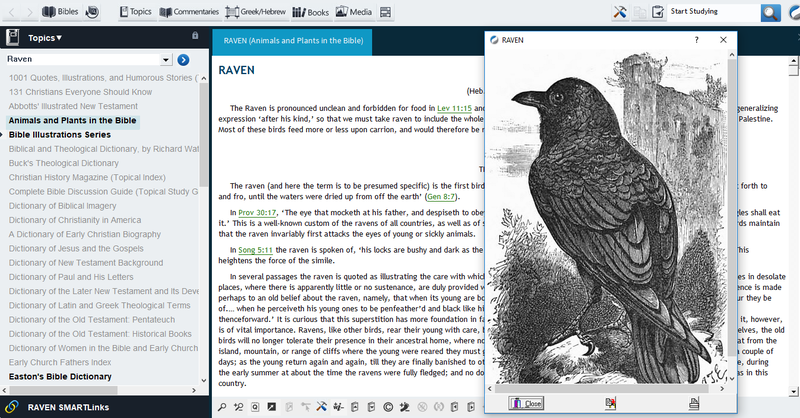 You can also browse the contents from the Books ("General Books") menu.